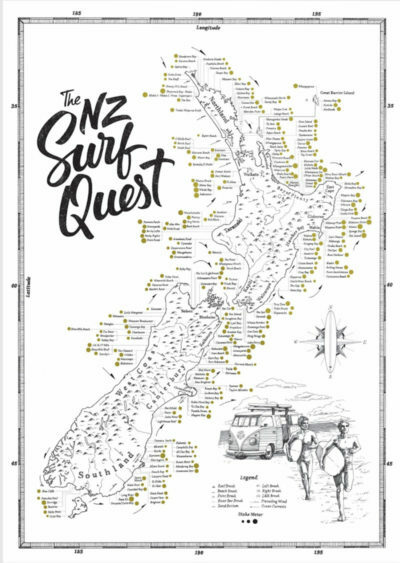 The NZ Surf Quest is the brainchild of two kiwi surfers who dreamed the idea up on the long drive home from a roadie around the Catlins. They wanted to create something that captured the excitement of the never ending search for the perfect wave. The NZ SurfQuest is a unique handcrafted map of New Zealand’s best surf spots. 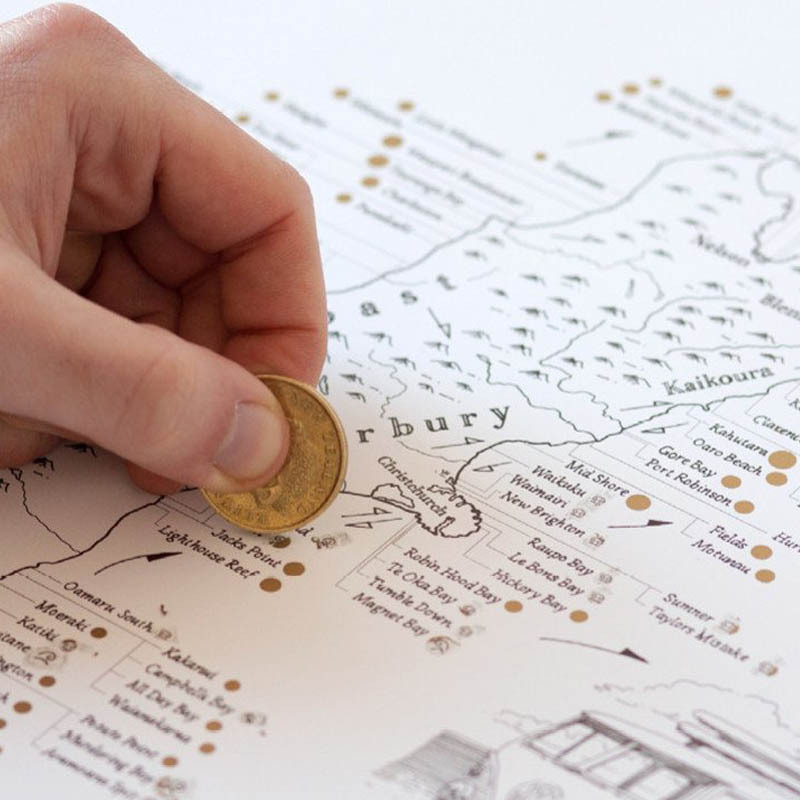 Gold foil symbols mark each spot, ready to be scratched as you surf your way around NZ. The size of each spot on the map depends on it’s stroke factor and when you scratch away the foil, a symbol revealing the type of break is revealed. Maps are designed and made in Christchurch and the perfect centre-piece to tel the customised story of every surfers journey.